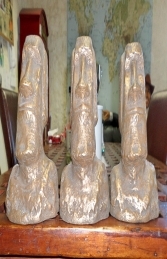 The Easter Island Wall decor statue are unique models made with a mixture of resin and fibre glass. 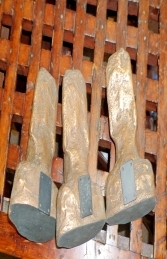 They can be lined up on the wall or staggered on an angle. The Easter Island Statue could be used to promote your Polynesian theme restaurant, bar, a themed evening from Night at the Museum or for your own garden if you have the room, it would certainly get the neighbours talking. We also have the Easter Island statue in a 6ft version (JR 090076) or the Easter Island Moai 4ft (JR 110008).